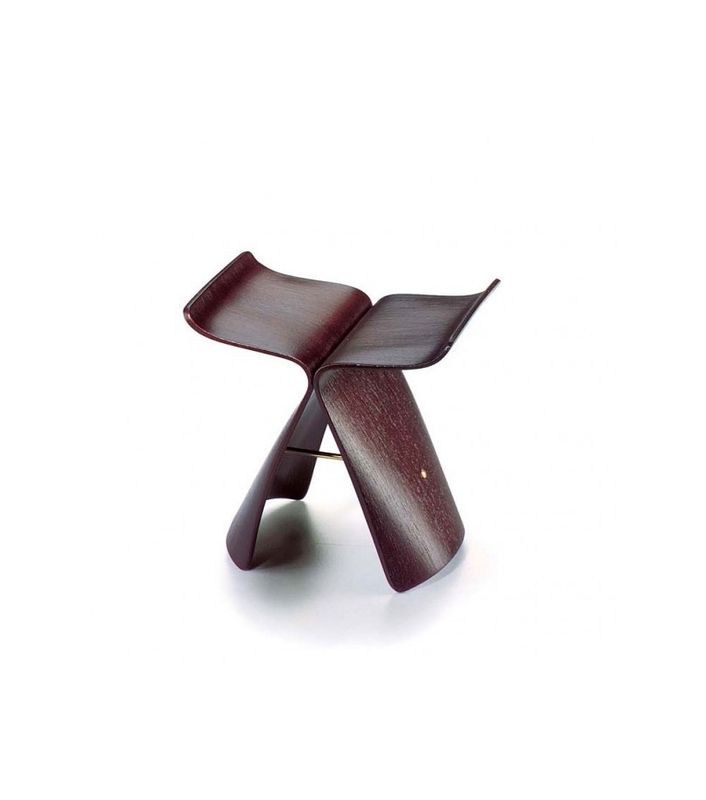 Vitra Miniature Butterfly stool: This creates a shape reminiscent in some ways of the torii (gates) to Shinto shrines, which gives the stool an oriental look. At the same time it calls to mind the wings of a butterfly, hence its name. Thestool was awarded the gold medal at the 1957 Milan triennial. Bent Plywood, Brass. 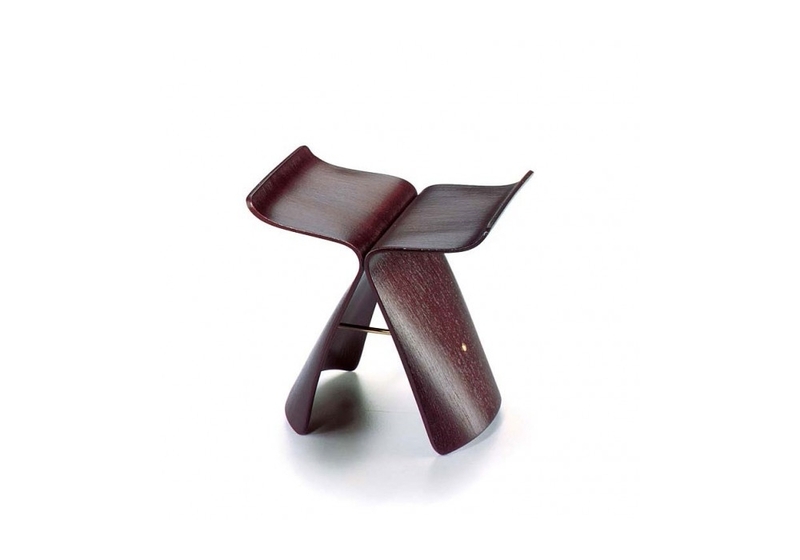 Vitra Miniature Butterfly stool: As a student in the 1940s Sori Yanagi accompanied Charlotte Perriand on her trips through Japan, thus becoming familiar with the classical Moderns. It is possible that this is what aroused Yanagi's interest in seating, something which does not exist in Japanese culture. Even today a large number of Japanese households manage without any kind of seats, even in the cities, since it is traditional to sit on the floor on tatami mats. 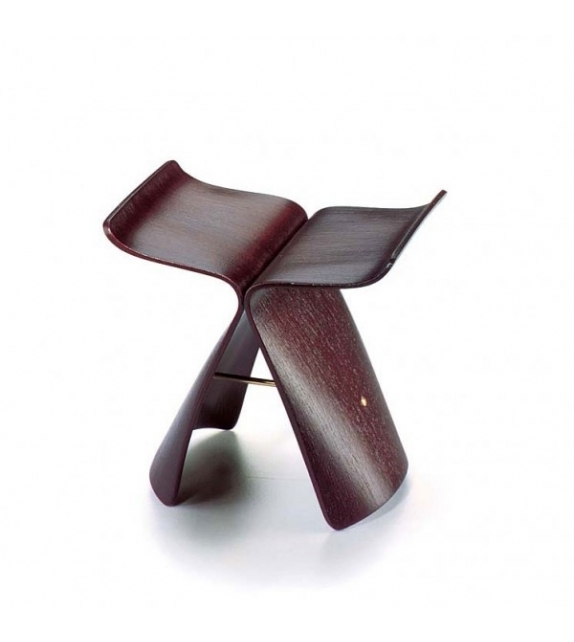 In view of the above Yanagi's Butterfly stool can be described as unusual on a number of counts. The designer adopts a familiar Western shape and combines it with a technique employed by Charles and Ray Eames which involves using bent plywood for industrial manufacture. The stool is unusually cleverly constructed, with two identical shapes connected axisymmetrically by means of two screws underneath the seat and a screwed on brass rod. This creates a shape reminiscent in some ways of the torii (gates) to Shinto shrines, which gives the stool an oriental look. At the same time it calls to mind the wings of a butterfly, hence its name. Thestool was awarded the gold medal at the 1957 Milan triennial. Bent Plywood, Brass.